Home | Blog | Reputation Management | How Do You Look? How Do You Look? Are you projecting the right image? Potential customers, existing clients, professional connections, and the community at large: these people need to see the best side of you and your business! Having a powerful presence means you have brand recognition and customer trust. What should you consider when evaluating your image? Is your site visually neat and readable? Can a user easily find information about your business? Be sure your website is accessible and doesn’t use language that’s too technical. As far as looks go, it should be in keeping with all your printed materials. When you compose an email, is your subject line boring? Make it snazzier by adding some intrigue. Instead of stating what’s in the email, make your subject line a question (“Are you getting the most out of your hardwood floors?”). Or you could make a special offer (“For our top customers only”). And don’t be afraid to brag about an award you’ve won (“Thank you for making us the #1 Consumer choice!”). Get some video of client testimonials, or show customers interacting with your product. Add this video to your website (don’t simply upload to YouTube – that puts video rights in their hands, not yours!). Choose a success story (a happy client works nicely) or a theme (maybe a current issue in your industry? ), then build around it. This is a great way to share your ideas or new services you’re offering, and get the word out to everyone in your address book! Link it to your website and emails. Update consistently (at least 2 or 3 times a week, preferably every business day!) and focus on industry issues, new developments in your business, or client questions. Business cards – there are two main things to remember here. 1) Make it unique. 2) Use both sides! Submit an article – don’t wait for a publication to come to you! Use your expertise to write an article about your industry, then submit it to the local paper, a regional business journal or a magazine. Like your pamphlet, keep it brief and interesting. Using “quick tips” or a call to action (“visit my website for more information!”) generally increases response. Photo ops – Getting your image into the community might be as simple as having your picture run in the local paper, or in a trade newsletter. Look for opportunities like community events, or host your own function and invite the press! Personal – Don’t be afraid to use those personal contacts to expand your network! Friends, extended family, kids’ sports events (those other soccer parents! ), school & club programs, PTA, charity functions, church, volunteer activities, services you commonly use (like a doctor, dentist, nail salon or favorite store)… there are prospects everywhere! Professional – Your business is full of possibilities also! Networking events, office vendors (your Xerox tech or office supply salesperson), accountants, attorneys, etc. You could throw a party for your existing clients and have them bring a business friend, then send thank-you notes to everyone who attends. Contact community organizations (Chamber, Kiwanis, Lions Club, etc.) about being a guest speaker, then use your pamphlet (see the print section!) as a basis for your talk. Great! I’m glad you enjoyed the article about evaluating your brand and company image. 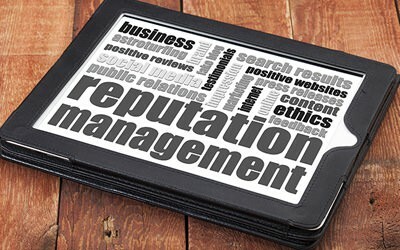 Have you had a chance to review your own brand to make sure you are projecting the right corporate image? your posts! Carry onn the great work!